Group Coaching: THE WISDOM OF THE ENNEAGRAM IN DATING, DIALOGUE, & DEVELOPMENT! FOR SINGLES IN THE DATING WORLD! & Profound Growth in Relationships! Live, Bay Area Group Coaching! Satisfaction relationships comes from being intentional, and that is especially true in the area of your dating practices. Tensions and misunderstandings do not resolve magically in relationships; it takes attention. Relationships do not mature without our taking risks. And every one who is single, and wanting to thrive in the dating world, needs a growth support network! Has your relational life taken a backseat to work or parenting pressures? Are you getting little wake-up calls in your life that are telling you that it is time to invest in your relationships on a new level? Do you sense that you are avoiding conversations you need to have? Are you stuck in frustrating, repeating patterns in romance, instead of facing those problems and getting the support you need to make the deep shifts that will create more happiness and fulfilling interactions? Learn to love your dating life again. Learn how to communicate better, how to really talk to others and identify safe and healthy partners. Learn how to work, play, and just be in your relationships in new and exciting ways. Add a Friday Noon Focus Dating Coaching Group to your week! When we don’t deal directly with the normal difficulties that arise in life, warning signals pop up in our relationships. Research shows that if we ignore those signals too long, little problems expand into major crises that, then, force us to wake-up and act. Unfortunately, by that point, the damage to the relationships in our lives is usually significant and takes a very long time to repair. The truth is every dater struggles and gets stuck at times. It is how we grow. 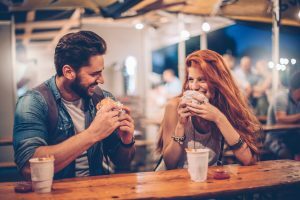 The difference between healthy daters and unhealthy daters resides in this one choice: Accept these developmental challenges as opportunities to become our best selves and create better relationships OR stay stuck and isolated. Are you ready to make some intentional changes and revitalize your relationships? The moment one definitely commits oneself, PROVIDENCE MOVES TOO. Embracing the Fun in Romance, WHILE Making Friends with God’s Reality! Listening Instead of Controlling! The Peace and Power of Staying in Your Own (Developmental) Lane in Your Dating Practice! INTRO TO TALKING SKILLS – How to TALK TO OTHERS in Ways THAT LEAD TO A HIGHER KIND OF LIFE WISDOM THAN YOU COULD REACH ALONE. Revolutionize Your Relationships by Learning about Your & Others’ Enneagram Type “Lenses” in Dating Life – Dominant Style, Wing, Direction of Stress, and the Direction of Integration; Which Will Accelerate Your Important Psycho-Spiritual Development Work in Community. Personality Wake-up Calls – Learn to Catch Your Type “Autopilot” in Action and Slow it Down. CREATE MORE OPENNESS, ACCEPTANCE, & CURIOSITY IN YOUR CONVERSATIONS. Recognize When Your Brain Activity is Contributing to Tension, Judgmental Attitudes, and Closed Mindedness – the Big 3 in Bad Dating Experiences. 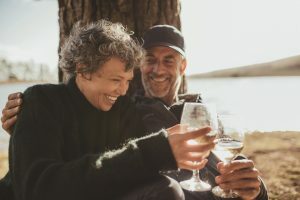 Learn Ways to Self-Sooth, Speak Up for Your Own Desires, Appreciate Others and Employ other Strategies Vital to Connection, all from the Latest in Relational Neurobiology. The Dance of Dating Him/Her, Without Losing Yourself! Your Walk with God, What Really Matters to You, & Your Non-negotiables for a Healthy Relational Life! INTRO TO DOING SKILLS – How to DO LIFE TOGETHER IN A WAY THAT CLARIFIES & ALIGNS WITH YOUR TRUE VALUES. Turn Conflict into the Building Blocks of Meaningful Future Interractions by Understanding Your Enneagram Instinctual Stack. Start Healing the Deep, Blind Spots You Struggle with Most, and Learn How to Add More Peace, Passion, and People Support to Your Life. UNDERSTAND INSTINCTUAL VALUE SYSTEMS. See How Your Relationships Can Blossom Even When Life is Demanding and Resources Seem Limited. When Your Value Systems are Integrated and Available for Problem Solving, You Can Build New Kinds of Important Meaningful-Contact Points into Your Busy Day. Ground Your Relationships in the Kind of Authentic Attachment and Real Freedom that is Good for Your Brain Health. MASTER THE ENERGIZING DANCE OF CONNECTION & SEPARATION. Get the “how to’s” on ways you can thoroughly enjoy those parts of yourself and feel good about who you are, without creating destructive distance in the relationships. Coming “Home” to Your True Self in God, Throughout Life! Relaxing Into the “Here & Now” Where REAL Relationship Happens! INTRO TO BEING SKILLS – How to BE TOGETHER & BE APART in Relationships, IN PERSONAL & PROFESSIONAL LIFE. Your Enneagram Type Journey can Benefit All Your Relationships, Inside & Outside of Dating Life. Learn to let go of familiar assumption patterns and embrace the relational adventure. Develop the art of spending time in relationship, while maintaining an exciting individual identity. TAKE ADVANTAGE OF ALL THREE TYPES OF CONFLICT STRATEGIES, INSTEAD OF OVER USING ONE OF THEM. Practice Creating More Harmony in Your Conflict Resolution and Problem Solving. Make Use of Your and Others’ Style Gifts when Facing Obstacles in Relationships. EXPLORE YOUR RELATIONAL HISTORY & UNCOVER WAYS IT MIGHT BE IMPACTING YOUR RELATIONAL LIFE. Discover the kind of “psychic wallpaper” carried by each Relational Ennea-style and how becoming more aware of those expectation and interpretation patterns can free up creative, productive energy in your dating life and beyond. Turn into your relationships for more intimacy and emotional sustenance with more ease and trust. The Power of Practicing God’s Presence in Relationship: Spiritual & Psychological Growth Practices that Prepare You for Positive Community Impact! The Dynamics of the Developmental Journey that Keep Your Relationships Alive & Well! INTRO TO TEAMING SKILLS – How to prepare to be a powerful TEAMMATE with Significant Others & How to Always Orient Towards GROWTH AS YOU GO FORWARD. Ensure the Health & Development of Your Ennea-style in Your Ongoing Dating & Community Life. NOTICE WHAT RAISES (& WHAT LOWERS) YOUR PERSONALITY HEALTH LEVEL or “Center of Gravity.” Experience what an Upward “Level Shift” in Your Personality Health Feels Like, How it Creates Openness, Acceptance, & Curiosity in Your Conversations with Your Loved Ones. Learn to Anchor Those Amazing Shifts in Your Physical, Emotional, and Mental Memory Centers, so You Can Access Them More Easily. LEARN TO HARNESS THE POWER OF PRESENCE in Your Relational Growth Journey Every Day! Gain a clear image of what growth looks like for your interpersonal life. Commit to ongoing practices to develop your type’s strengths and heal your type’s blind spots; and support keeping yourself and others on track for future growth. Description: Relational Skill-building Topics & Enneagram of Personality Tools – You will learn tools to improve your relationships and experiment with those tools as soon as you leave each monthly workshop experience. You will more clearly be able to identify the ineffective behaviors that are damaging your relationships. Each meeting, you will learn about and have a chance to experiment with TWO POWERFUL GROWTH TOOLS (one designed to promote relational growth & one designed to promote your individual growth) that address some of the most common dating relationship problems. Plan Some Practice Time: Your Weekly Fun & Challenging Relationship Experiment – Because getting into action is SO important to create change in your dating life, you will spend some time with your group envisioning creative ways to implement your new tools during your DATING LIFE CHALLENGE EXPERIMENT. This will help you start an immediate habit of deeper and more honest connections going forward, as you will create an experiential anchor you can access throughout the week and beyond, for each growth step you take! Arrive On Time for Your Group: Supportive Small Group Community – That way, you don’t miss the community-building “check-in” time with the others in your group. And we want you to be comfortable and tuned-in during the group session, so make sure to grab a bottle of water and stay hydrated during the meeting. Jump into the relaxing mini-meditation time at the start. 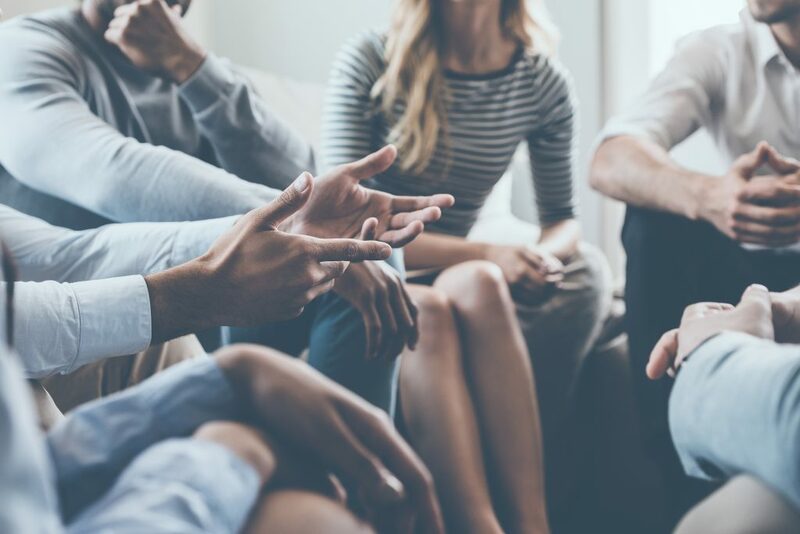 Join Us for Complimentary Mentoring Mixer with Others Working on Personality Health in Relationship: Enjoy some light healthy snacks, Enneagram games, and deep healthy fellowship after the meeting. Stay Tuned for Your High-Impact Exercise to Try During Each Week: Relationship-Building Weekly Exercises – These simple little experiments can create deeper connection, real clarification, & important course corrections in your dating life.